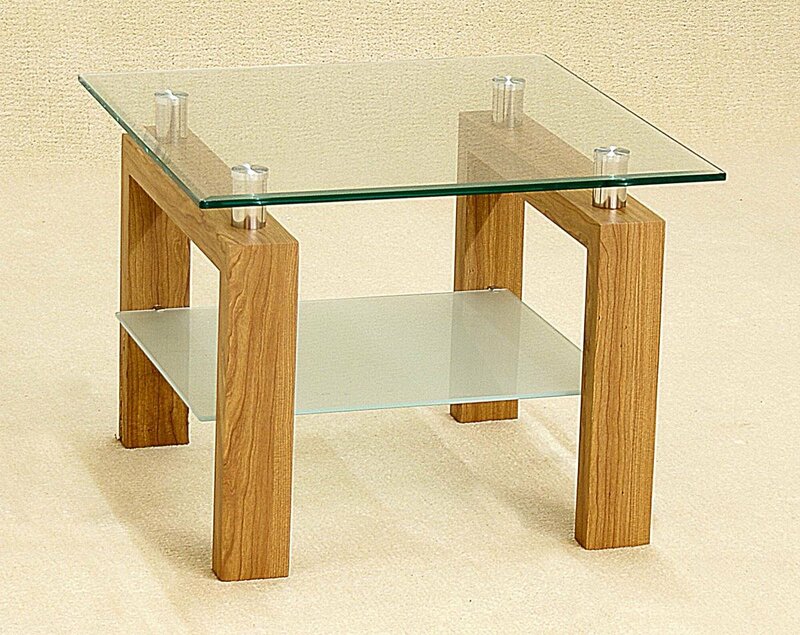 A uniquely beautiful Lamp Table with a fun design and stylish Oak Veneer legs contrasting the modern Clear Glass top. This Lamp Table would suit any modern home looking for elegance with a modern twist. With a top wide enough for a lamp, a plant pot or photographs, this table is functional yet small enough to fit anywhere. Elegantly simple but with a distinctly modern look, this table is functional but also gives your Living Room a personality.